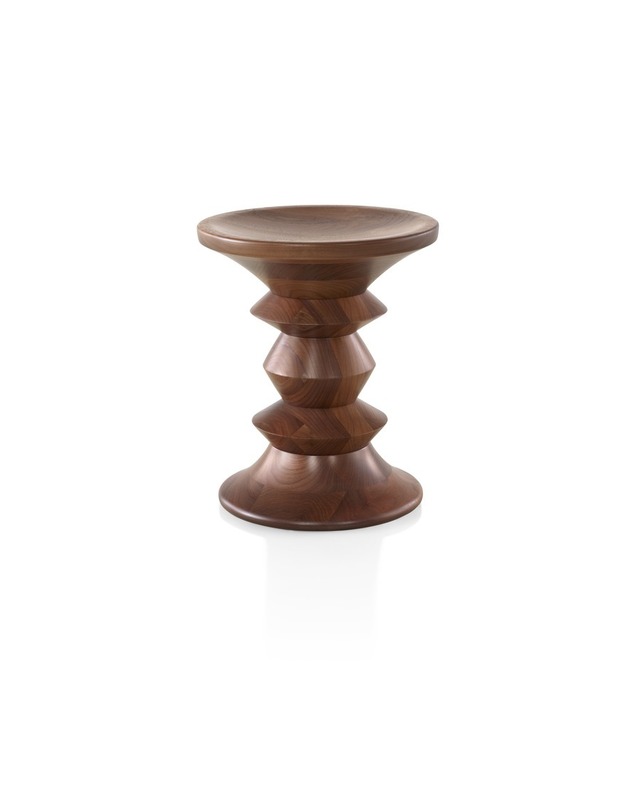 Designed by Ray Eames for the lobby of the Time & Life Building in New York City, these sculptural occasional pieces function as stools, side tables, or something in between. 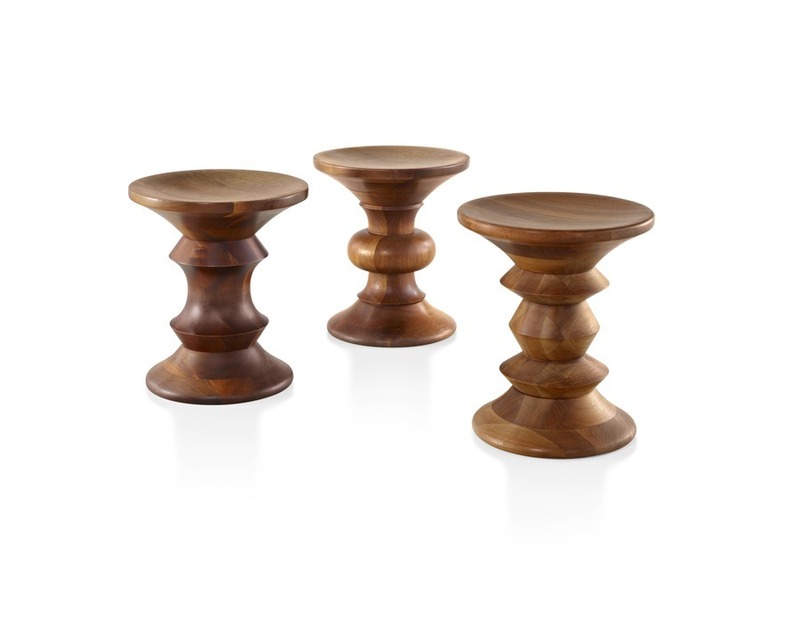 Crafted from solid turned walnut, their concave tops and bottoms pair with decorative center sections. Three designs offer any space a flexible selection of seats and surfaces.